First, one of the easiest ways to add vertical storage is with a large cabinet. And the cabinet below is a great example. 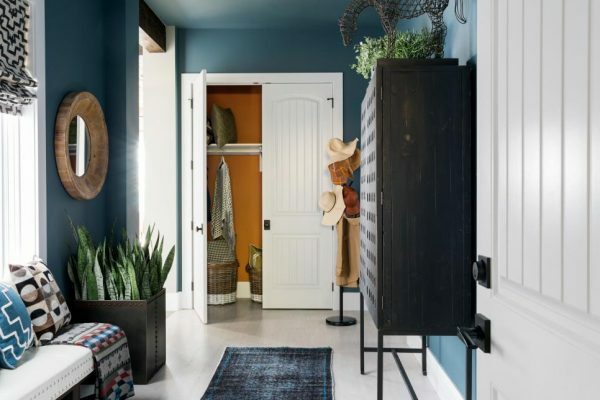 Because it has metal legs it keeps the piece from overwhelming the relatively narrow mudroom. So where you may think there is no room for a large cabinet, think again & measure! Second, built-in cabinets. So if you have space & budget, built-in cabinets with open shelving and closed cabinetry is a luxury in vertical storage solutions. 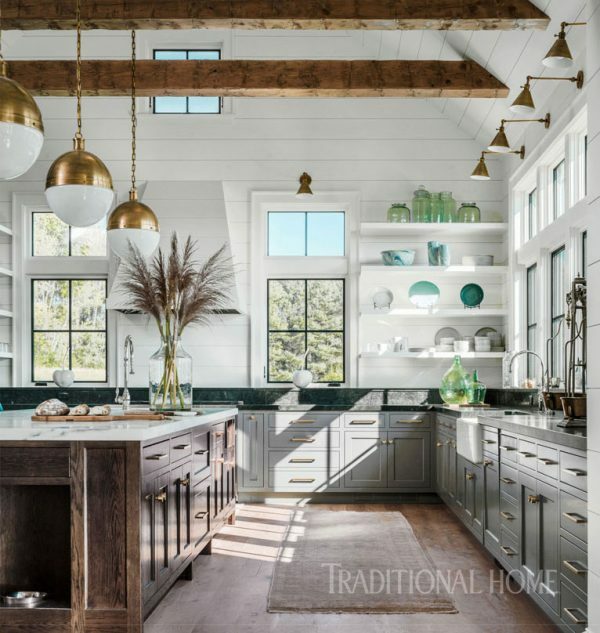 Although custom cabinetry is a more expensive alternative, it may be just what your room needs. Third, open shelving. Because the elimination of upper cabinets in kitchens is trending, open shelving is a great way to gain an extra bit of space. Especially in a tight or awkward corner. Lastly, bookcases. 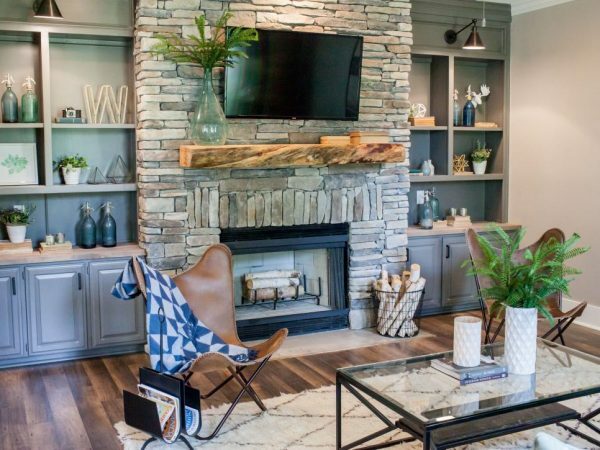 Bookcases are no longer just for an office or living room. 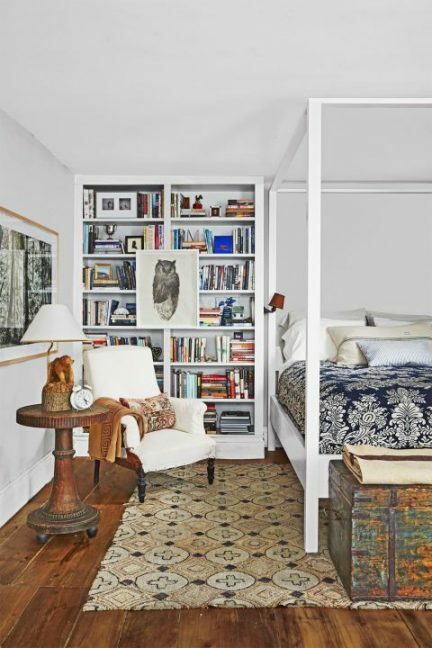 As you can see below this bookcase is such a perfect addition to the bedroom, allowing for plenty of vertical storage. 4 Vertical Storage Solutions for 4 Different Rooms! And with all different budgets. A bookcase or open shelving may be a DIY Project for your skill level. Whereas a built-in shelving unit, most of us probably need a cabinet maker for. Then again, buying a cabinet sounds like a pretty good idea! Whatever you decide vertical storage makes sense for any size home.